On April 2, 1917, President Woodrow Wilson went before a joint session of Congress to request a declaration of war against Germany. Wilson cited Germany’s violation of its pledge to suspend unrestricted submarine warfare in the North Atlantic and the Mediterranean, as well as its attempts to entice Mexico into an alliance against the United States, as his reasons for declaring war. The United States entered World War I on April 6, 1917, when the U.S. Congress agreed to a declaration of war. 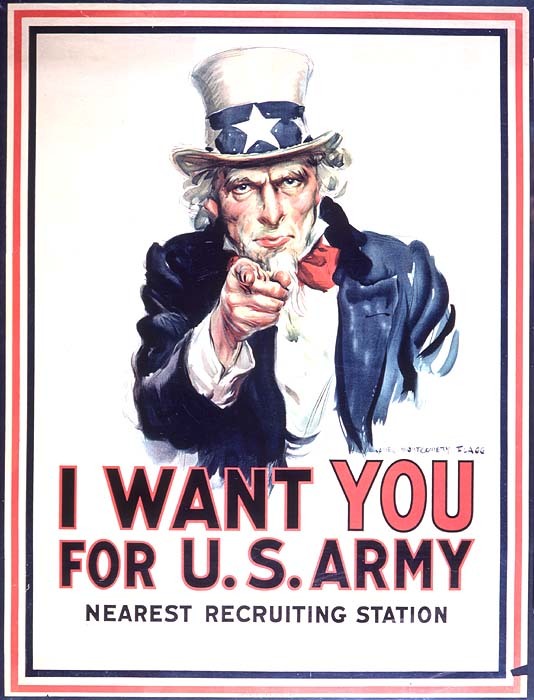 Faced with mobilizing a sufficient fighting force, Congress passed the Selective Service Act on May 18, 1917. By the end of the war, the SSA had conscripted over 2.8 million American men. The hundreds of thousands of men who enlisted or were conscripted early in the war still faced months of intensive training before departing for Europe. In an effort to finance the extensive military operations of the war, and to help curb inflation by removing large amounts of money from circulation, the United States government issued Liberty Bonds. Bond drives, parades, advertisements, and community pressure fueled the purchase of bonds, which played a crucial role in financing the U.S. war effort. When U.S. troops arrived overseas, they found themselves in the midst of a war waged on the ground, in the air, and under the sea, using new weapons on an unprecedented scale. Combatants suffered casualties in quantities never before seen. Often regarded as the world’s first modern war, it used military technology including tanks, airplanes, modern machine guns, and poison gas. World War I saw unprecedented participation by African American troops, with over 350,000 African American soldiers serving. However, African American troops were only able to serve in segregated units, and many were excluded from combat, allowed only to provide support services. The return of African American soldiers to their home communities after the war was followed by both a series of bloody racial conflicts and a wave of civil rights activism.